On the Burlington Vermont waterfront is Burlington Bay Market and Cafe. As the name suggests is a hybrid fish market, cafe, tourist shop, and mini beer bar. 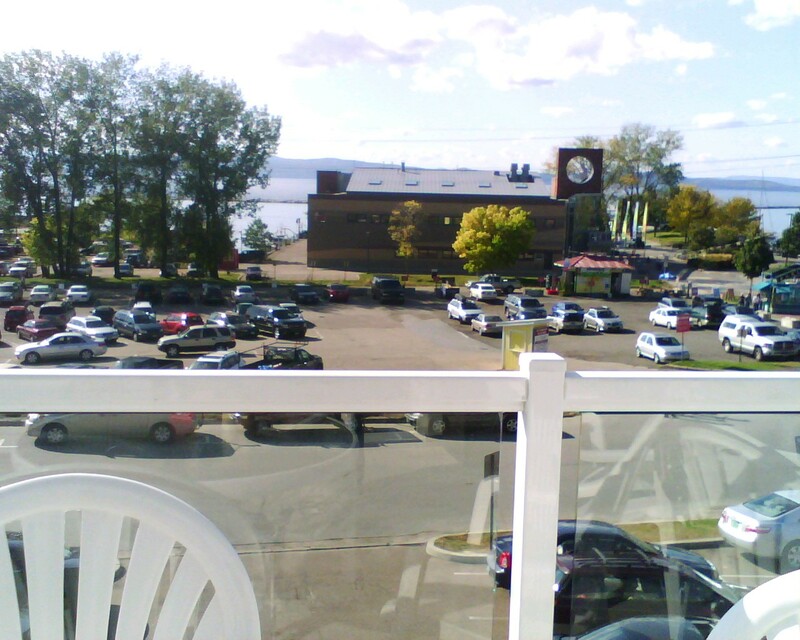 I actually haven’t ordered beer there, but they have an impressive back deck which I imagine goes well with beer. This was a poor shot, it was a very sunny day. 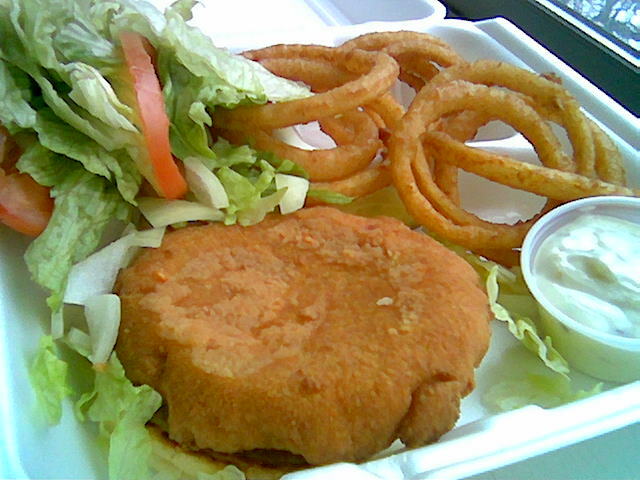 The crab cake is hand-made pan fried, nice toasted bun, lettuce, tomato, and slightly spicey sauce. The sandwich comes with a slice of lemon, I recommend using it a little acid helps. I wish the remoulade sauce has a little heat to it, but this sandwich is nice much better than some deep fried crab cakes I’ve tried. The sandwich was $7.76 with tax. Ah Maple CreeMees a great Vermont-y treat. Real maple syrup is very prevalent in this saccharine confection. 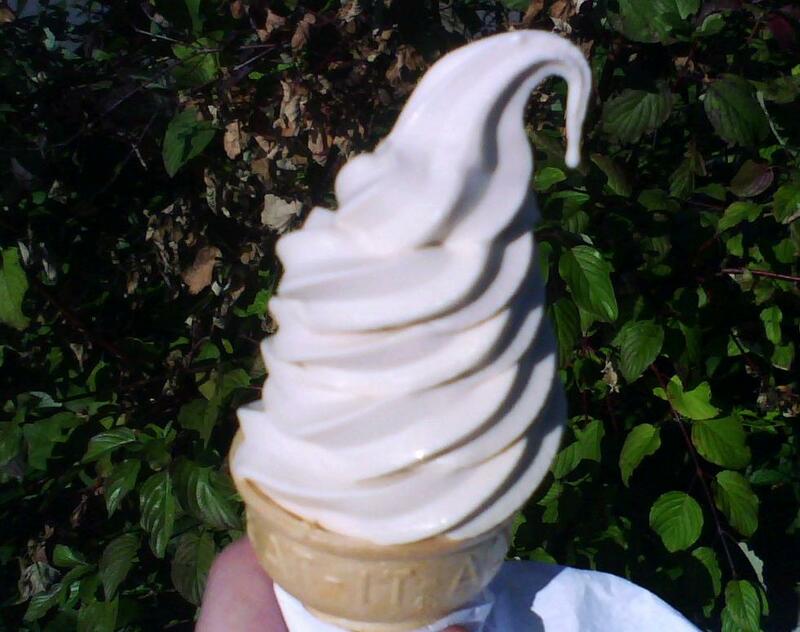 If you like maple syrup and have tried a maple creemee (aka soft serve in other parts of the US) you need to. A small was $2.22, also the “EAT-IT ALL” cone was nice and fresh. So what about that view? 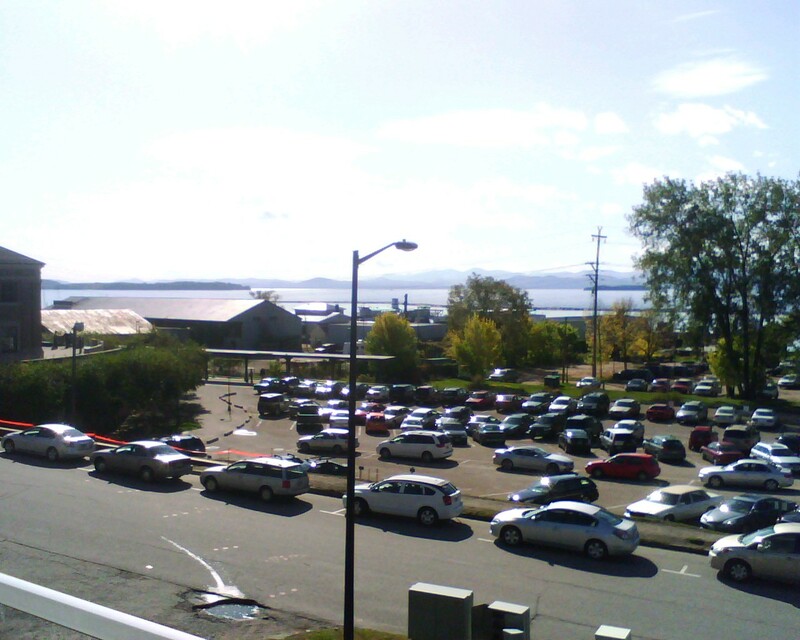 The Echo Center is a cool museam of Lake Champlain, if you haven’t been. So in conclusion if do get lunch @ BBMC, sit on the back deck and bring shades. I was had a crab-cake sandwich craving the other day, and decided to take a trip to Ray’s Seafood Market in Essex Vermont. 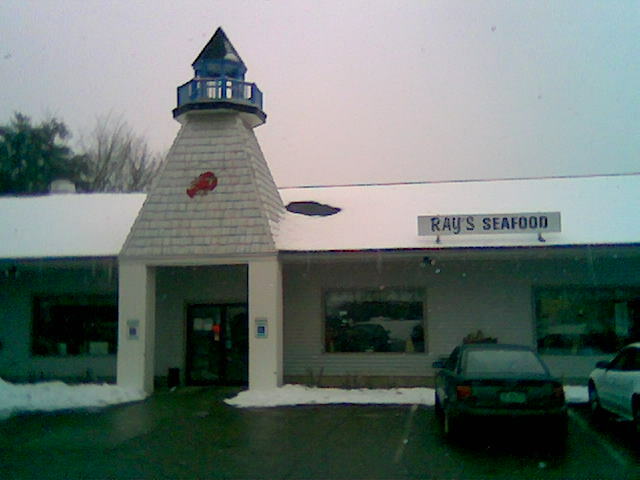 Ray’s also has a Burlington location. 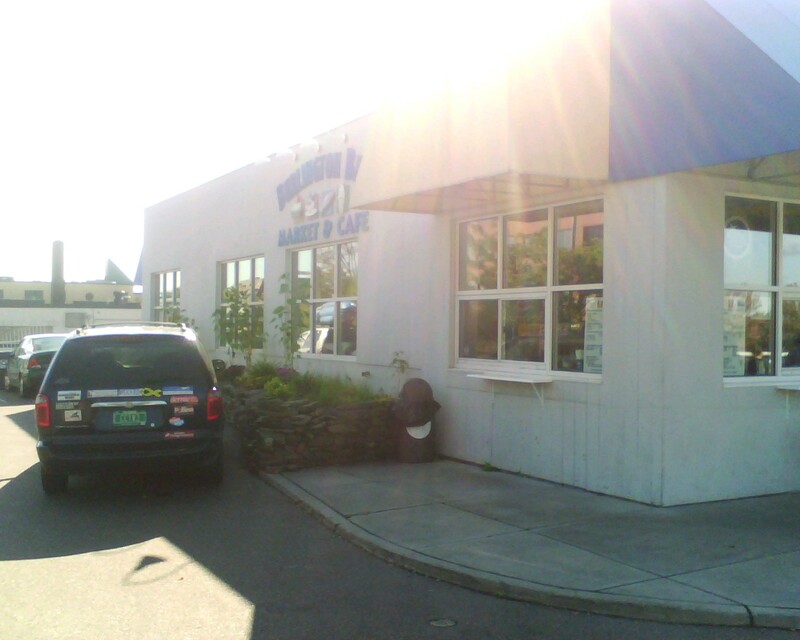 Their restaurant looks like it belongs along the Maine seashore, pretty neat. Plenty of crab-meat in this sandwich, but it was deep-fried (light batter). I much prefer pan-fried for crab-cakes, the texture is a lot different. 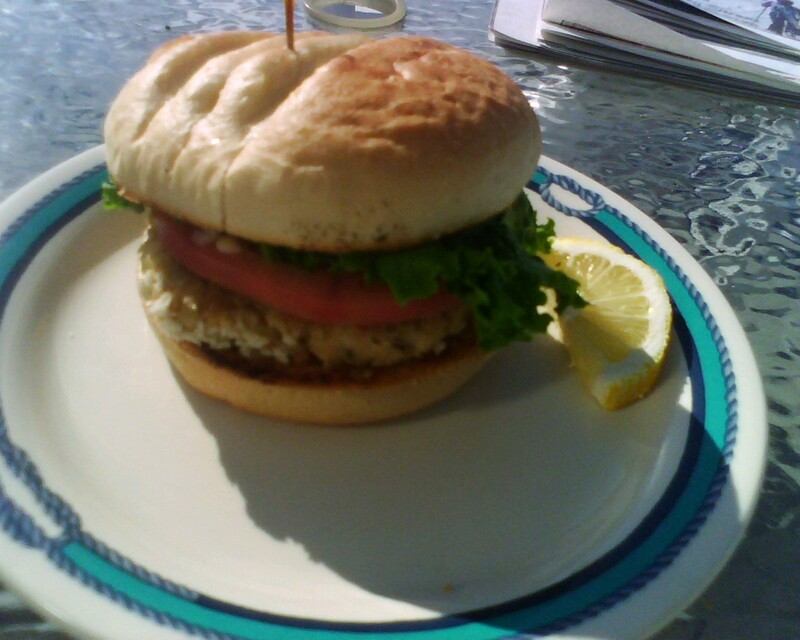 That being said, it’s hard to find crab-cake sandwiches, that aren’t cut with shrimp around Vermont. I would have also preferred an option of a spicy remoulade sauce, instead of tartar. The tartar sauce was nice, it had some pickle relish in it, but admittedly I don’t really care for tartar sauce. The onions rings were very good, and appear to be home made. I believe the sandwich and side of ‘rings came to $8.40 with tax, very reasonable for seafood.